This multi-action, fatigue-fighting eye treatment improves visible firmness and reduces the look of lines, wrinkles and puffiness. 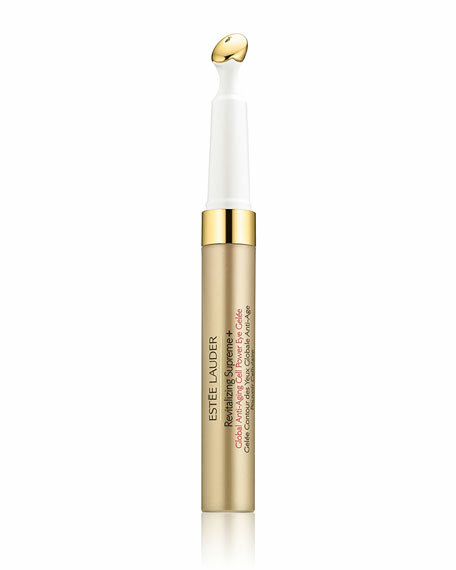 Brightens the look of dark circles. Cooling massage tip helps reinvigorate the eye area. AM and PM, press side pad to dispense, then massage eye area with golden tip. Wipe tip with tissue after use. Before first use: Prime applicator, gently pressing side pad until product dispenses.